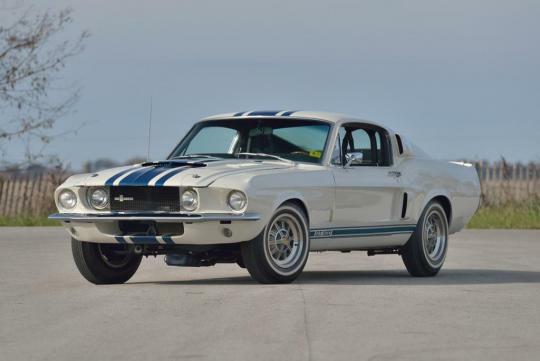 Having previously been sold for a record breaking US$1.3 million(around S$1.7m), this one-of-one 1967 Shelby GT500 Super Snake recently changed hands once again at the Mecum Kissimmee auction in Florida. 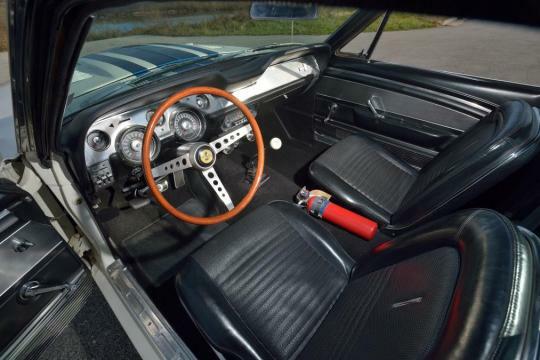 Predicted to reach an already eye watering $1.0-$1.2 million, the muscle car managed to smash its own record by reaching US$2.2 million(around S$2.7m). 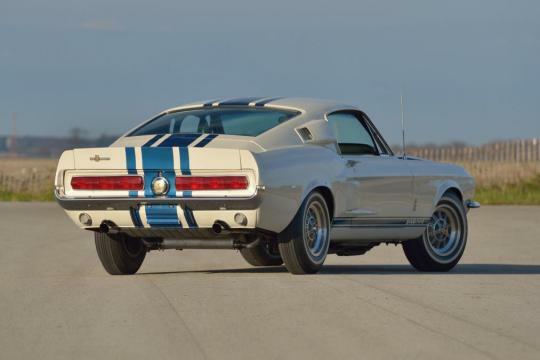 The Shelby GT500 Super Snake is a concept car derived from the regular 1967 GT500 Mustang. 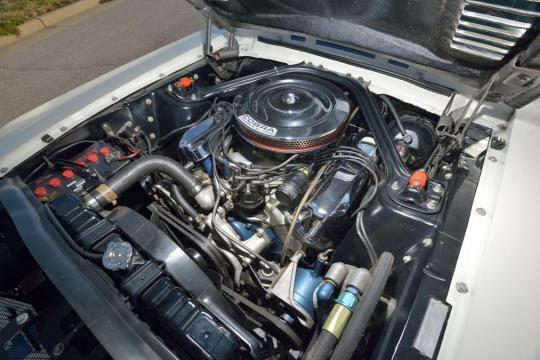 However, as the standard 355bhp was obviously insufficient, the Super Snake was upgraded to a Shelby ‘427’ engine which is a very similar powerplant to that found in the 1966 Le Mans winning Ford GT40 Mk II. It includes the same “bundle of snakes” exhaust system as the champion GT40 and a power figure of 600bhp. In addition, the Super Snake features stiffer shocks and springs along with performance focused braided brake lines and a remote oil filler. The Le Mans striping and chrome headlight surrounds visually set the car apart from its less extreme GT500 counterpart. Special whitewall Goodyear Thunderbolt tyres were fitted to the Super Snake as part of a promotional tyre test which originally brought the car to fruition. 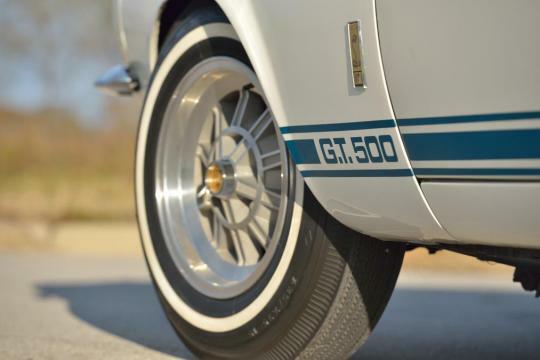 In fact, the project was the idea of Shelby’s American Sales Manager Don McCain after Carroll Shelby was asked to do a promotion with Goodyear. The aim of the event was to test the endurance of Goodyear’s new “Thunderbolt” economy tyres by driving at a constant 140mph for 500 miles. 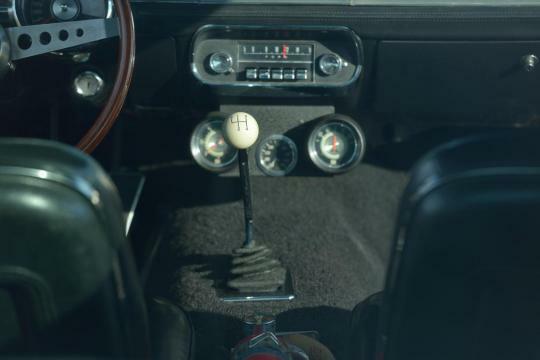 Built to run sustainably at 6,000rpm for racing, the ‘427’ engine was perfect for the job. Despite the huge power figure of the Super Snake, the test was a success as the tyres came back with over 97% of their original tread, achieving the goal of the event. 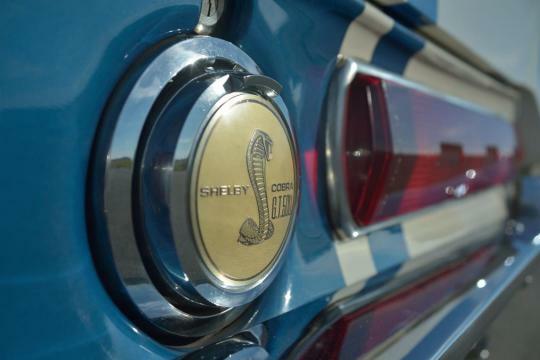 It’s said that at the same event, Carroll Shelby reached 170mph during a top speed run whilst using the Super Snake. Don McCain’s original plan was to sell 50 Super Snakes. However, the concept never hit the road due to the excessive price. 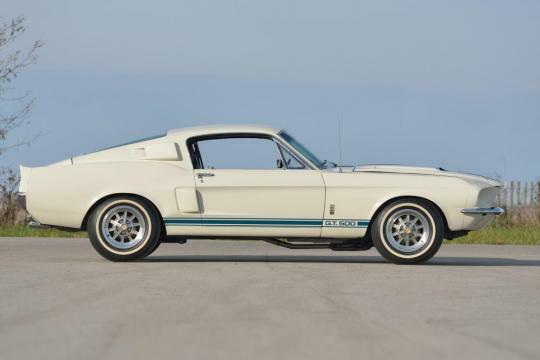 In fact, if put on the market each car would have had to be sold at twice the price of a regular GT500. 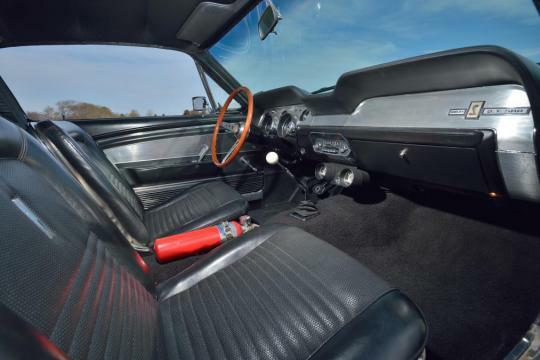 Although the Shelby EXP 500 “Green Hornet” from 1968 reached a hefty US$1.8 million when up for auction in 2013, that was not enough to reach the reserve price of the car and it remained unsold. Therefore, this Super Snake gets the title of “The World’s Most Expensive Mustang” for a while longer. It is well over twice the price of the second priciest pony.